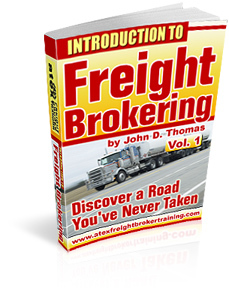 Hi-Tech Freight Brokerage .... Do You Need It? There are technical innovations coming down the pipeline all the time. It sometimes seems that no human intervention is required. Should you be going in this direction? Here's the short answer: If you are a new brokerage, start simple. Do NOT be too concerned with all the new gadgets. Will you be left in the dust if you don't conform to all the new stuff? Not really. There still is a big demand for good, quality and honest personal relations. I don't think that will ever go away. Here's something to think about: Take note of all the new stuff. Try and figure out if it's for a trucking company or a brokerage. Save contact info for some of the new items but start simple and start slow. Start simple and slow. You don't need all the bells and whistles starting out.